These days even young people are facing severe health problems due to changing lifestyles. People generally do not have time to exercise or pay attention to their diets. But health is our biggest wealth. Only if you are healthy, you can enjoy other things in life. So if you wish to live a healthy life, control your weight or take right diet, your smartphone can be very helpful. These days countless of fitness & nutrition apps are available which can help you stay healthy & fit. I have tried plenty of them myself and today I am writing this article to give you my take on the top 3 such apps. All these apps are free and are available for both iPhone & Android phones. 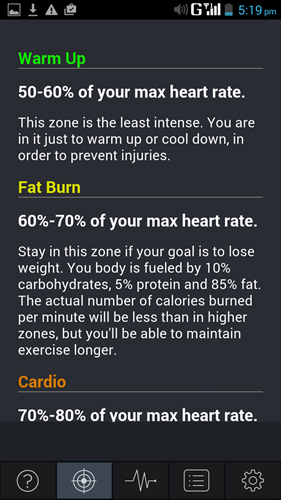 It is one of the most user friendly fitness apps I have used. It is very easy to navigate. Upon signing up, the app asks to select your goal- whether it is to lose, gain or maintain weight. It then asks you to fill some basic information including your height, weight, age, gender, activity level and the number of kgs you want to shed. Accordingly, it recommends the number of kgs you need to shed per week and the calorie intake per day which you should maintain to do so. 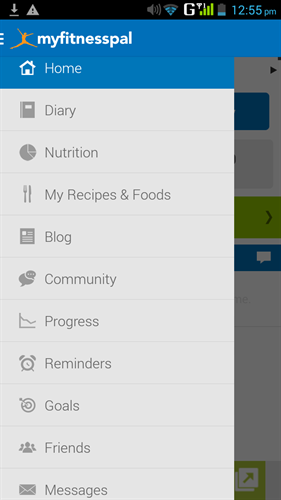 You just need to maintain a diary on the app and add the meals you take to keep a track of the total calories you are taking. For example, in my case I was recommended to maintain a calorie intake of 1310 to lose 0.25kg in a week. For breakfast, I took a paratha and the app showed the number of calories I had with it (260) and the remaining calories I could take in the day. See the image below to know the format. 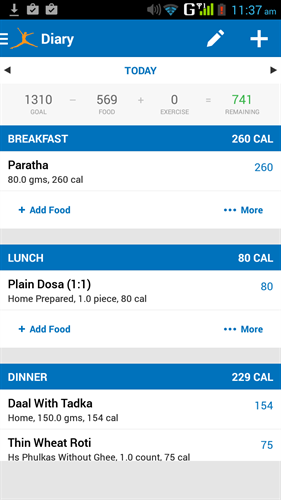 The app has a big food database and even Indian cuisines like dosa and upma were available in the diet tracker. You can also track the amount of nutrients you are taking with the kind of diet you are having. 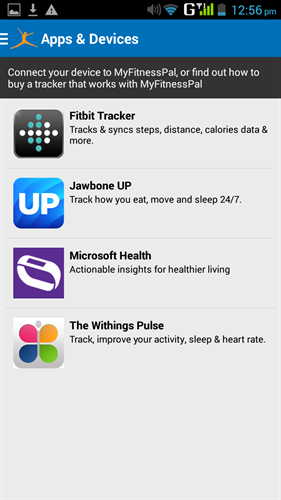 You can also feed your exercise information by connecting trackers like The Withings Pulse and Fitbit with MyFitnessPal. Other than keeping a track of your diet and workouts, you can also make new friends on the app. It has a massive community of active users who are always happy to trade recipes, help new members and share success stories. 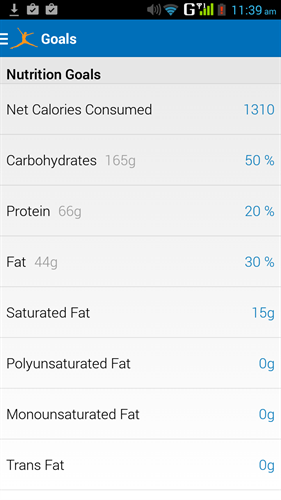 I love this app and use it every day to track my diet as well as that of my family members. Whenever I cook a meal, I always check the number of calories it contains and I am happy to say that my food choices have become much healthier. I am just in love with this app. 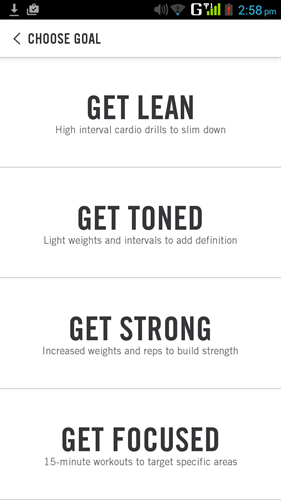 The app asks you to choose your goal from getting lean, toned, strong or focused and accordingly suggests a number of workouts to choose from. For example, my goal was to get strong. 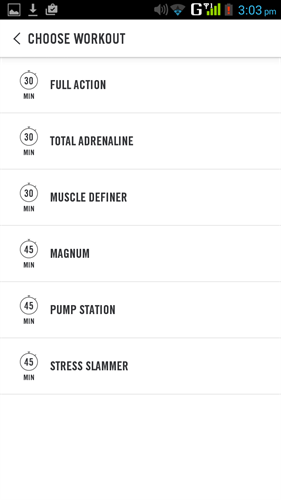 So, the app asked me to choose level (Beginner, Intermediate or Advanced) and accordingly, listed a number of workouts to choose from. You can download any one or all of these workout videos and start exercising. 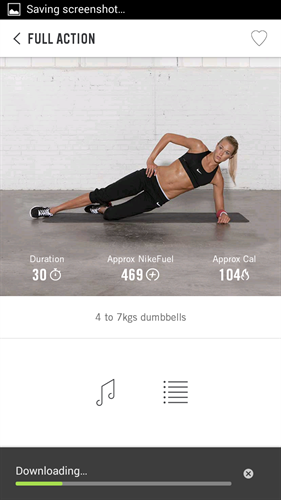 You get free guidance from a virtual personal trainer in your pocket. An interesting feature is that you can also learn about the exercise programs followed by celebrities. Most of the workouts are from professional female athletes. For example, tennis superstar Maria Sharapova's 15-minute workout designed by her coach Yutaka Nakamura is available on the workout library which her fans can download and follow themselves. Hundreds of workouts are there in the library so you get a wide variety to choose from. Most of these workouts are easy to do can be performed indoors itself but do not judge them by their simplicity. They are very intense and I realized this only next day of following this app when my muscles pained. I feel I do not need a gym anymore. If you need motivation, know that you get points for completing a certain number of minutes within the app. More the points you earn, higher the rewards you can unlock. So far I have been able to unlock the 'Power smoothies' reward which gives recipes for 5 healthy smoothies. There is a 'Sport Feed' community where you can connect with your friends and share your workouts & progress. You can do this also by syncing this app with Facebook. The app displays ads in the bottom but they are unobtrusive and do not affect the loading speed. 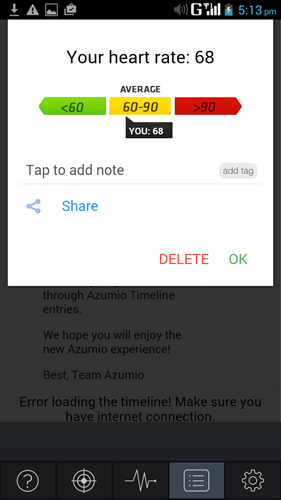 This app by Azumio is an alternative to the expensive unitasker for tracking heart rate. Heart is a major part of body and as we age or neglect our diet & exercise routine, our arteries shrink and slow down the blood supply. Healthy functioning of heart is very important and now you can monitor this with your Smartphone. 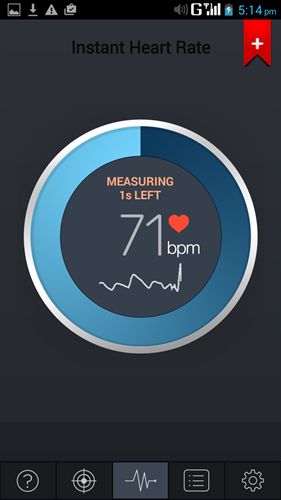 Just place your fingertip over the camera lens for ten seconds and this app will instantly show you your heart rate using changes in color of the fingertip. For getting accurate results, make sure that there is fairly good light. There are 5 zones: Warm Up (50-60% of heart rate), Fat Burn (60-70% of heart rate), Cardio (70-80% of heart rate), Extreme (80-90% of heart rate) & Max (90-100% of heart rate) which have different implications. Heart rate between 60-90% is average. Neither low nor high is good. If your heart rate falls in any of these two brackets, you must consult a doctor. You also get the option of storing and sharing the results via Facebook, Evernote & other social media. My aunt is a heart patient and she constantly shares her results with her doctor via Facebook. Thanks to such apps that life has become so easy.